I use Derek T. Souers’ DelLangFiles from DonationCoder. Note that it’s old (7 yrs now) and needs .NET 2.0. Note also that it does not flag ALL non-English files for deletion. 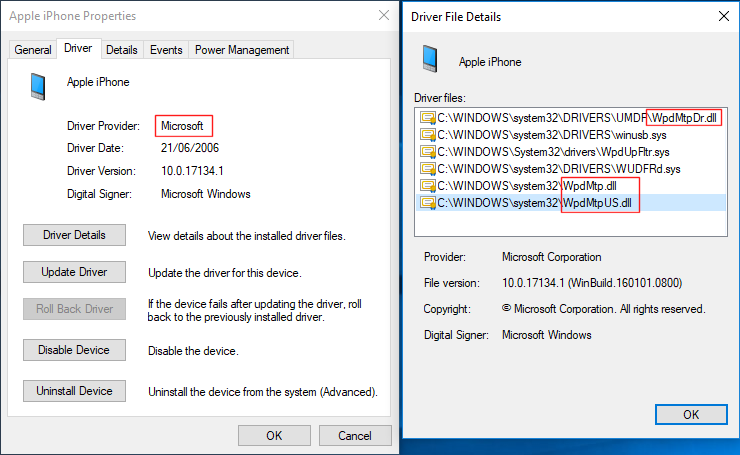 Note that if you attach an iPhone to a Windows N edition (i.e. a European edition of Windows minus various media-related technologies), it’s not unusual to see an error in Device Manager complaining about a missing PTP (Picture Transfer Protocol) driver. The ‘fix’ is to install the relevant Media Feature Pack from Microsoft. Note that I wrote ‘may be’… because most people don’t have this problem. 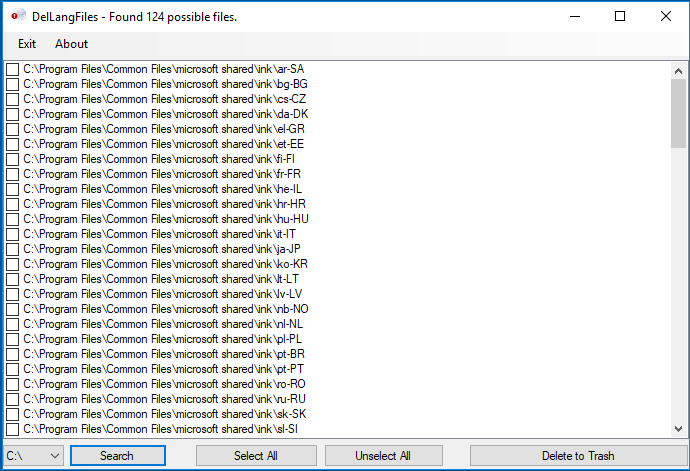 It might be related to KB4057437 again, i.e. the Media Feature Pack missing from Windows N editions. However, I experienced this myself (which is how I got the screenshots) and, not knowing about the Media Feature Pack – which I shouldn’t have needed anyway as my Windows 10 edition is not an ‘N’ variant – I just installed iTunes. On the third interesting question, perhaps an even more interesting one is: has an HD more mass when it is full? I wonder about the additional mass a flash drive is supposed have when storing data. The calculations are based on additional electrons required to store the data. I would have thought the electrons have to come from somewhere. If they were already on the flash drive then all you are doing is supplying energy to move the electrons from one place to another. (Equivalent to separating charges on an array of tiny capacitors.) Therefore the total mass increase is equivalent to the energy required to change the state of the flash drive from all “0”s to all “1”s. The formula to use is “E” equals “M” “c” squared. This is truly negligible. Happy for someone to demonstrate that this is incorrect. Answering your question: You are correct. Separating charges by moving them requires work, “giving energy to something.” Some of this energy is spent as waste heat, because of the medium resistance to current, and the part of this heat that stays and warms the disk also increases its mass. Some of that work is added as energy to the original field of the now separated electrons, as you mentioned. All that added energy increases the SSD mass by a tiny amount. Of course, here the most interesting thing is not the size of that added mass, but whether it exists at all. Which it really does. The point I was trying to make is that no electrons move in but rather move within the flash memory. Therefore there is no increased mass due increased number of electrons entering the flash memory. In other words the original article is incorrect. MannieG writes: ” there is no increased mass due increased number of electrons entering the flash memory. In other words the original article is incorrect”, and this is true. In the text referenced in the article it is told that 1GB of full memory requires about 700 femtograms of electrons. As the capacity of a flash drive (just left on a table) with respect to surroundings (to “ground”) is of the order of 10 picofarad, simple calculation shows that the charge of those ADDITIONAL 700 femtograms of electrons would result in the voltage (between flash drive and ground) of the order of 10 000 000 volts (!!!). Thus the electrons have to come to the memory cells from e.g. metallic connections in the flash drive. The article is not clear on this. In the case of flash drives, storing new information changes the arrangement of the electrons across the disk, and with it the overall electric field they create. And the cold scientific fact is that there is an increase in mass NOT because there are more electrons (or besides that), that is an equivocation, but because the potential energy of the electric field in the disk has changed, increasing when information is added, and energy has mass. By the way: Even if the flash drive (SSD) is “electrically neutral” (same number of + and – charged elementary particles forming it), still there is a field observable, at least in principle, at distances from it comparable to the separations between the charged particles that form it (e.g., electrons, protons, etc. ), even when farther away, at “normal” distances, no field can be observed with existing instruments. Just a note about transferring files and accessing data on smartphones. Windows is not your only option. Linux and ChromeOS use ext4 filesystems natively, and can mount phones (usually) more easily than Windows. Tools for Linux allow the entire phone to be mounted and accessed. And the other protocols listed in the article also are likely to work better with Linux than with Windows. Chrome and Android are a natural match, so data transfers are almost always supported and successful without damaging the phone. iPhones can be tricky with any OS, and they are not really designed to have their internal filesystem accessed. So there Linux would be of little help. So there are safer and more reliable ways to get data transferred from Android phones, if you are able and willing to think outside of the Windows box.